VidCon, the world’s largest online video convention, will be taking place in London this week between February 14th - 17th. The event's parent company Viacom is looking to expand the event out to more places internationally, where it will spotlight more online YouTube stars from all over. The inaugural VidCon London will bring together many different creators from the U.K., U.S., and elsewhere. 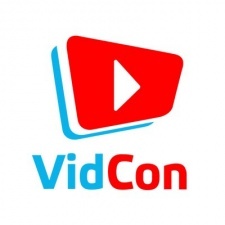 Media conglomerate Viacom acquired VidCon back in February 2018 and the flagship event celebrates its 10th anniversary in July this year. In a statement to The Hollywood Reporter, VidCon CEO Jim Louderback talked about the event’s expansion and what the company hoped to do reaching new places with other audiences and stars. “We wanted to go somewhere where we can talk to the community passionate about online video," Louderback said. "We think London is the right place. We are super excited about the event. And we’ll think about other places from there. We’re less than a year into the acquisition, and London is the first international addition, but probably not the last." VidCon is expecting to host more than 90,000 attendees across its various events in Anaheim, Melbourne, and London. The London event might not be the last international event we hear about soon. “There is such a great group of creators in the U.K., so we are excited about bringing our unique brand of conference and festival together to celebrate all this great creativity," Louderback added. "We bring some of the top creators from the U.K. over to the U.S. every year, but it’s a small percentage”. A full list of the creators and guests attending VidCon London is available to view on the event's website.